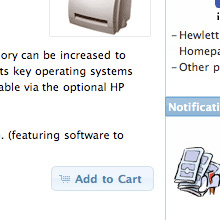 We know all the famous “add to cart” button on the product information page. In version 2.3.1 it’s basically the same thing, the only difference is that, instead of the odd image we have a nice(r) jquery button. As a side note, let’s mention that, for all people who believe that it is not necessary to have a script generating the buttons and who would prefer to use pure css buttons instead, I will post the way to do it soon. Same if you want to replace the image buttons. Back to the topic, the button work fine, pressing it the customer gets one item added to the cart. To order eg 10 pieces, he need’s to go to his shopping cart, enter the desired quantity, click “update” and proceed to checkout. That’s also not bad if your store sell it’s items one by one usually. He need either to repeat the procedure of going to the cart, entering the desired quantity, pressing “update”, continue shopping, or to keep a list to change the quantities after all items are in the cart. In the first case he’ll forget maybe to add something to the cart, in the second case he’ll maybe forget to update something or he’ll think it over and order a lower quantity. All of this is not good for your store, not to mention all the unnecessary “clicks” that do not add any joy to the shopping experience. Going to file catalog/product_info.php we see that the file is in real a “POST” form, and the “add to cart” button it’s submit button. On this we need to work. In your file this will be placed in <td></td> or into <div></div> or similar. It can also be that in your file the number is a bit different, so please to not stick on it, and search for the code little more up or down in your file. However, we see that there is no word about any quantity, the only thing that get submitted is the product ID. We know that the quantity added to the cart is always 1. Going to file catalog/includes/application_top.php we also understand why. First in file catalog/product_info.php we add in front of the submit button the quantity input field. We know that in osCommerce there is the predefined function tep_draw_input_field that do exactly what we want: To make an input field. All we did was to add tep_draw_input_field(‘cart_quantity’, ’1′, ‘size=”5″‘). We gave a name to this field, set the default number we want it to be (1) and set the size (5). You can also add a text, as we did, so that people know what he field is for. In this case, don’t forget to “define” this text in your file catalog/includes/laguages/english/product_info.php. Just copy the way it is done for other defines. You see that it is easy to do as 1 2 3, so why don’t you try it your self? Don’t hesitate to ask if you have any problems. Or maybe you post your opinion here? I read this and immediately implemented it in combination with option type V2.3.1. Now the question: I can I check that the field is NON empty by clicking on “Add to cart” button? extremely nice tutorial! I like the step-by-step approach since it’s quite easy to follow. I currently have a similar problem with a shop of mine. But instead of a quantity input field I’m in need of an input field where the customer can enter a certain mobile phone modell. The input should then appear on the orders page in the admin area. Since I’m not a techie I would like to ask if that would be possible too? I’m quite sure I can add the input field on my own, but don’t know how and where to send the input value so it appears on the orders page. No Problem to put the input filel but for doesn’t work for me on a clean 2.3.1 installation as I am unable to find the mentioned lines no 361in application_top.php, no such code. What must I do do get it to work? Excelent post, just one comment in version 2.3.1 the line in the application_top.php file that you have to change is not 350 I believe it is 335. Thanks for sharing the knowledge multimixer! works great, but a have a title problem. When I add 2000 s/f to my cart, on shopping car i just see 200.
the box is too small, how I enlarge the box to show 4 digits? First, make the input field on your product information page a little smaller. That was easy like always. 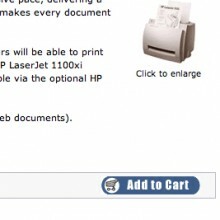 Please let me know, how we can change image of “Add to Cart” button with our new image? Is it possible to use an seperator? If my customers want to order 0,25 or 1,50? Well, his is not connected to the quantity input field itself, but to the fact that you can order products only in whole units. may i add something extra to your suggestion…. We are selling different products that have different quantities. Product A is easy it will work with what is already in place 1 for 1. Product B (bottles) Will be sold in quantities of 6, 12 and 24. I put the total single bottle quantity and the price of 1 bottle ($1) in the product page in the oscommerce online merchant and then added a quantity attribute in the products/attributes page of 6 ($6) , 12 ($12) and 24 ($24). But when I go to my site, it says that the price of the product is (the price of a single bottle) and it gives a dropdown for 6 ($6), 12 ($12), 24 ($24). Then if I add say one 6 pack and add to cart, it puts the price at $7.00 – so it adds the price of the attribute plus the price of the product. Please help. Thank you so much for all the effort you are investing in this! I have placed the quantity box in the product info page, but I need to have a dropdown list instead, with the maximum quantity available for selection equal to the quantity available in stock. And I give you an example why. Let’s say I have 245 items in stock and the customer wants to buy 1000 items. Since I don’t want to have a box with the available quantity in stock to show to the customers, when he will checkout he will receive a message that there is not enough quantity in stock. And then we will try with 900 and will receive the same message. Then he will try with 800 and again the same message and so on, until he will insert below 245 in the shopping cart. If you can help me with this it would be awesome! I managed to create the drop down list half an hour after I posted :) . I had an input field before. But I could not be able to set the limit to the available quantity in stock without your help. I spent few hours on that with no result. Really thank you for your help! You can put it anywhere else in the product_info.php, making the drop down list to be positioned in a different location in the product page. Now there is something else that I cannot figure out. How can I have the categories displayed in the middle of the page also. I mean instead of the new products, and the new products to be displayed below these categories? Hello again! is there a version of this that will work on v2.3.4 with MTS installed? Thanks.